Rajef's Sandtone towers are located 30 km south of Petra, in the biblical mountains of ancient Edom. Old Bedouin Camel paths, remote Desert Oases and deep Canyons dominate this undiscovered land in the heartland of Jordan. 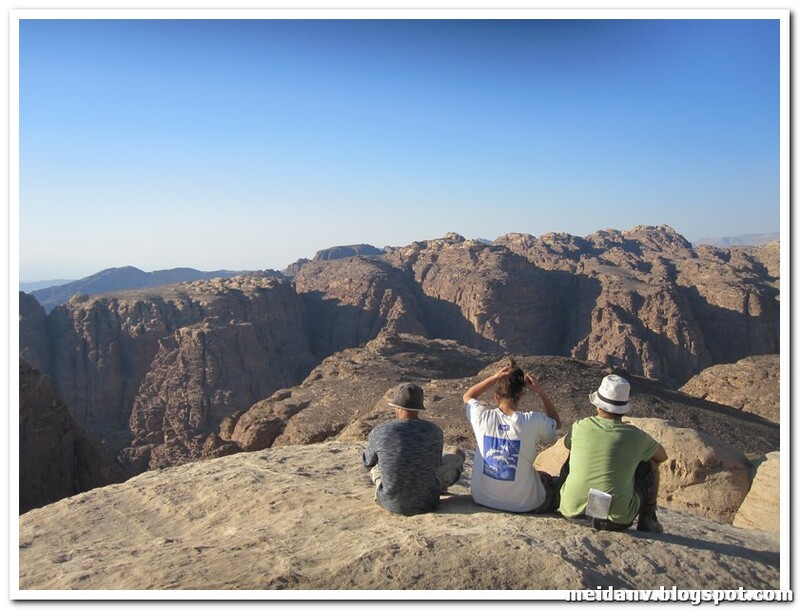 Trekking – this trip in Jordan is a different and Unique experience – no cars, no roads, no cities, we will step into the desert for three days, walking between cliffs, ancient paths and remote springs, camping outside in tents, cooking on the fire.. no showers and everybody help! Meeting at Eilat's border check point, we will meet our bus and drive north to Jabel (mt.) Masuuda, the start of our trek. 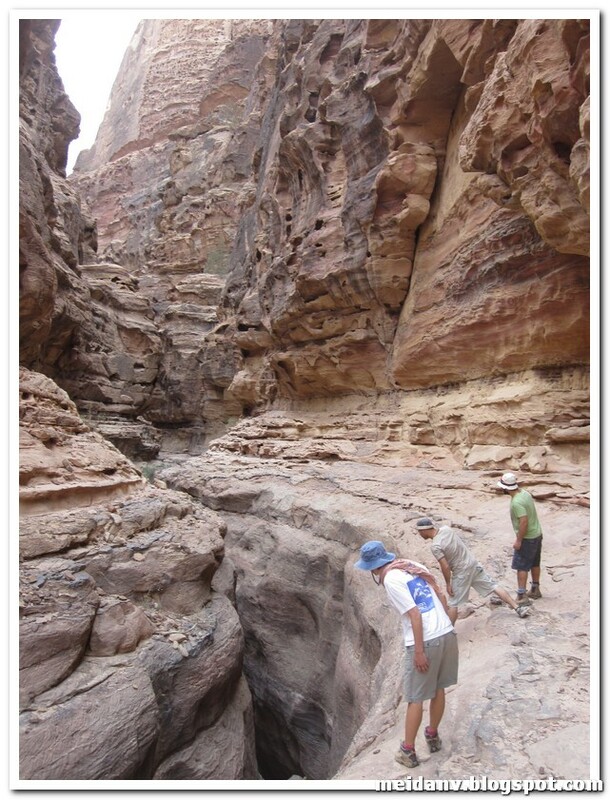 Hiking east will take us to "the dark Canyon" – a deep gorge cutted into the local red sandstone. 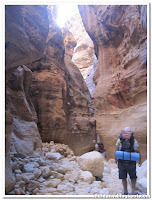 After picnic lunch we will ascent to Wadi Hurma and the Spring of Ein Mshet – Camping in Tents. 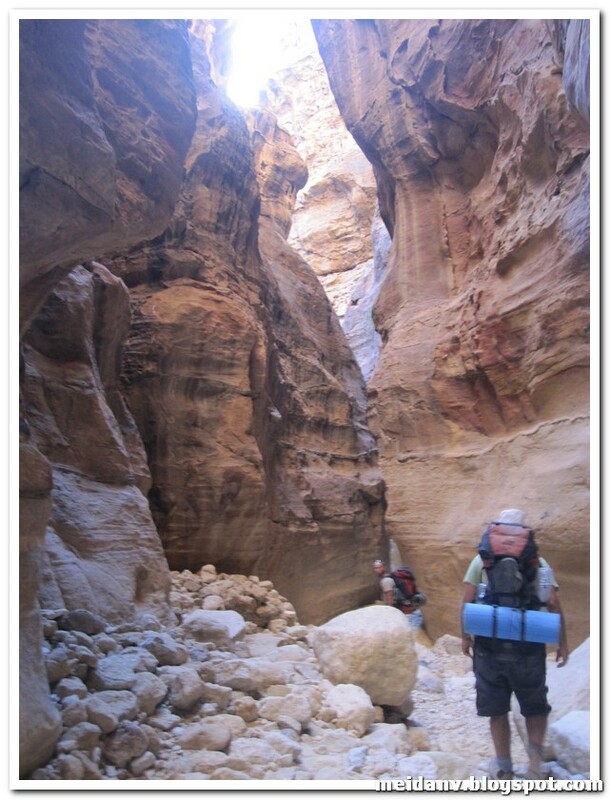 After the morning's Coffee, we will climb Back to Wadi Hurma, surrounded by the sandstone cliffs, and find the steep narrow ancient path which leads up towards the Rajef High Plateau. Later we shall climb Jabel Barza, providing spectacular views of the surrounding area. In late afternoon we will come back to camp in the high camp – it is recommended to bring warm cloths..
Today we will descent back to Araba Valley through the impressive Abu el-Uruk gorge, we might come across a few potholes of water and small boulders, reaching the spring of Ein a-Sada, and continue further west to meet our minibus. We will be back in Eilat Checkpoint at late afternoon. The tour plan might change due to extreme weather, Mechanical problems with the transfers, etc.